IRISH FERRIES HAS said that it is “unlikely” have a ferry service between Rosslare and France in 2019. In a post to its Facebook page it said that it wished to inform its customers of the news, and that it continues to keep the situation under review. “Feedback from our customers suggests that it is easier to travel to Dublin Port for most people than it is to get to Rosslare. Our new WB Yeats ship will operate from Dublin to Cherbourg up to four days per week and is now available for booking. Sinn Féin Brexit spokesperson David Cullinane has said that Irish Ferries’ decision is “a big blow” to the southeast. “With Brexit just over the horizon this decision is truly baffling,” Cullinane said. “I will be raising this issue directly with the Minister at the earliest opportunity. For the Southeast region to lose one of its main ferry routes to Europe would be an absolute disaster. 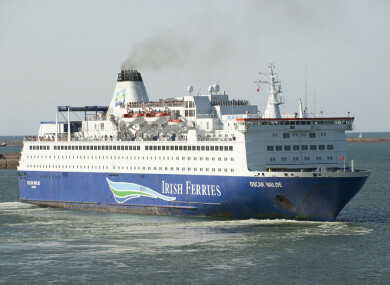 Email “Irish Ferries 'unlikely' to have Rosslare-France service next year”. Feedback on “Irish Ferries 'unlikely' to have Rosslare-France service next year”.